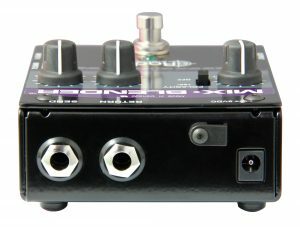 The Mix-Blender™ is a multi-function pedal that lets you mix two instruments or pedals together and then send the signal through a footswitch-controlled effects loop for processing. Designed to work with guitar, bass and keyboards, the Mix-Blender sums together two instrument inputs, with individual level controls to balance their relative levels. 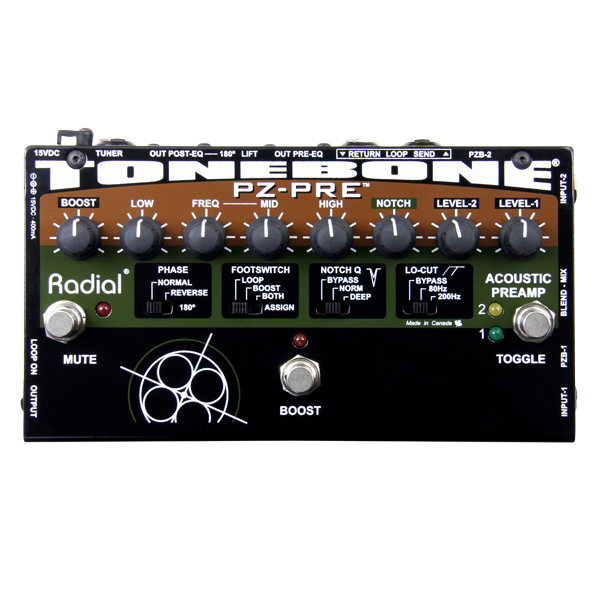 This allows you to combine two pickups on an acoustic guitar, two effects pedals, or two different instruments on stage so each can be played through the same amp. This combined signal can then be routed to your effects pedals, with a footswitch to activate them in an instant. 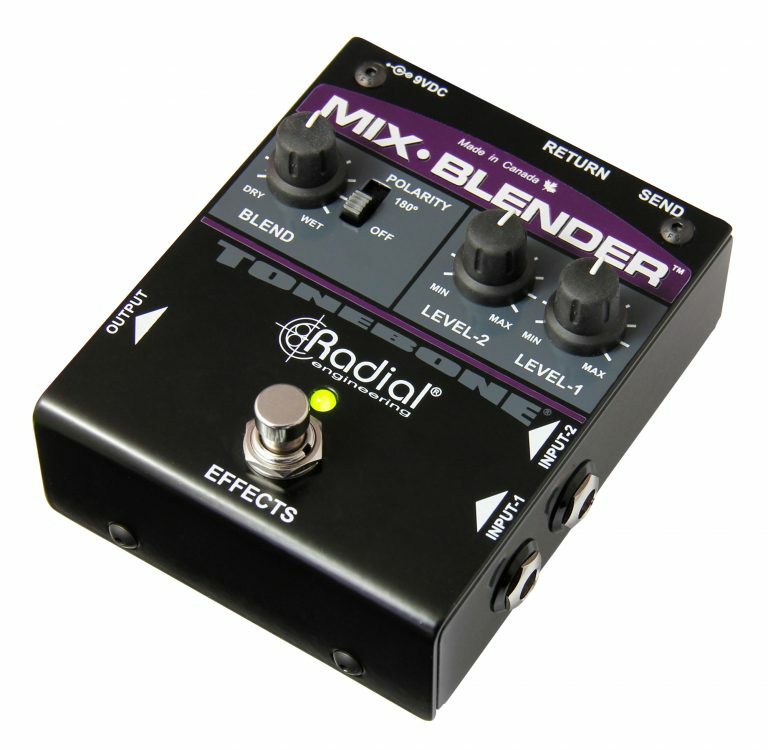 The effects loop of the Mix-Blender features a unique wet/dry Blend control, which lets you retain the original sound of the instrument and add in as much of the pedals as you like, for effects ranging from subtle to extreme. 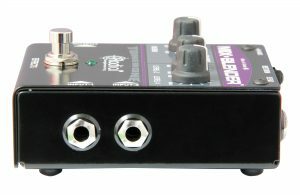 With two inputs you can connect two instruments and have them play at the same volume through your amp for quick changes on stage. Connect your tuner from the send jack to monitor your tuning on the fly. 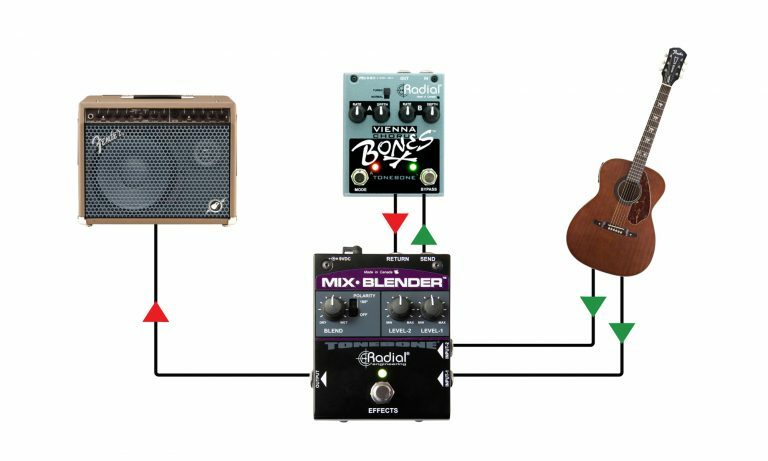 Combining two pickups can often lead to the most natural sounding acoustic. 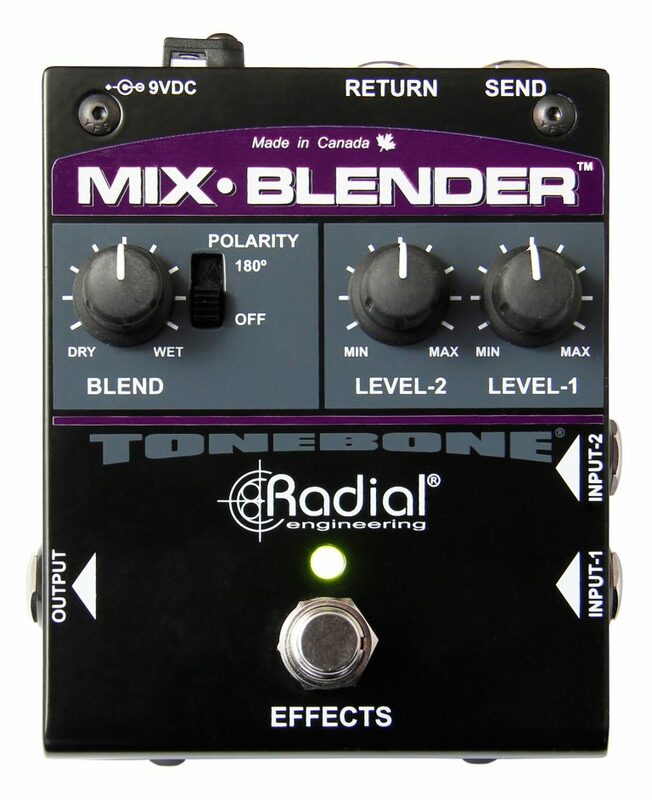 Use the Mix-Blender to precisely mix the two signals together. 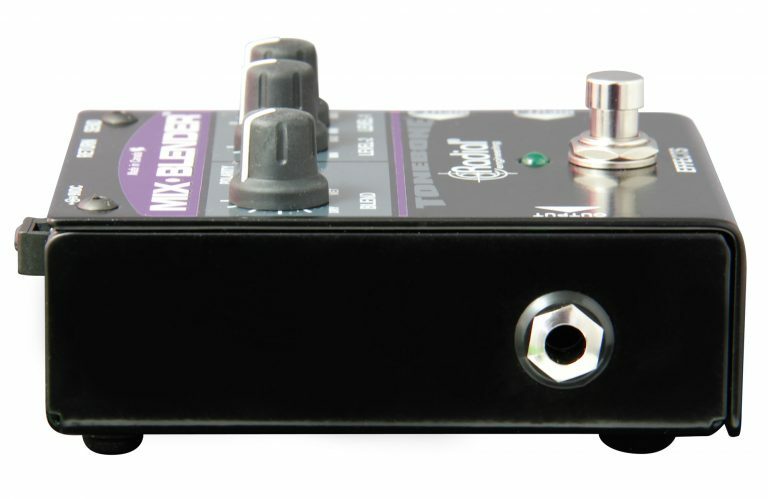 Add a chorus pedal to the effects loop and control it with the footswitch. 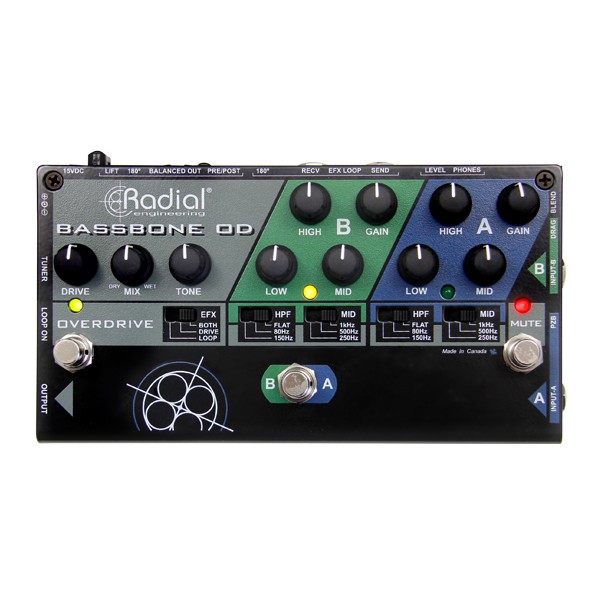 Add overdrive or distortion to your bass without losing the powerful bottom end. 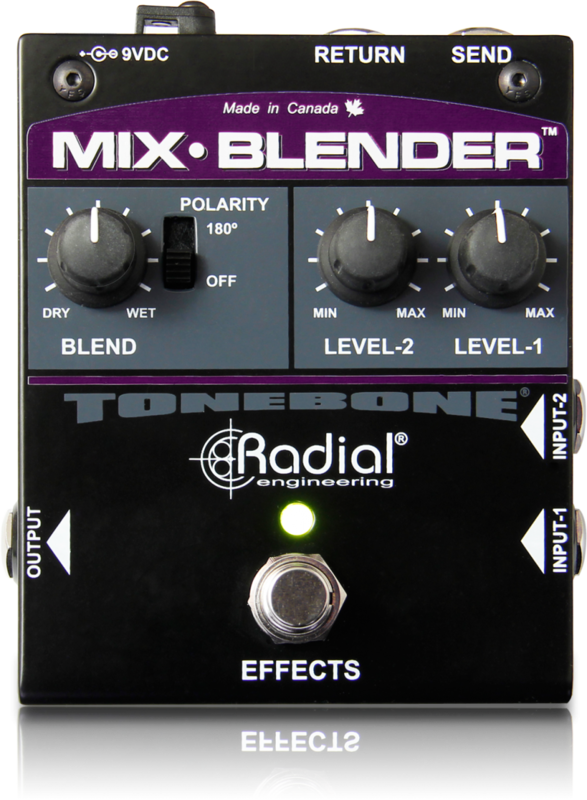 The Mix-Blender's wet-dry control lets you mix in the perfect amount of distortion to your signal path. 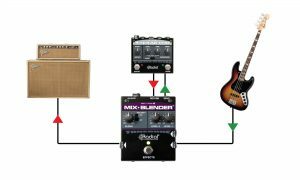 "The Mix-Blender should prove especially useful to any guitarist gigging with multiple guitars with different outputs... As an effects loop controller, the Mix-Blender successfully blended appropriate levels of chorus and delay into the original dry signal. 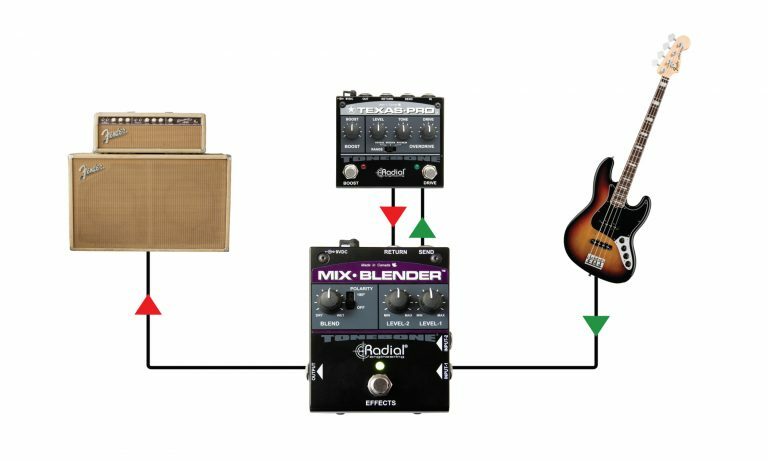 And with the Mix-Blender as an effects loop controller, the original signal never thinned out. 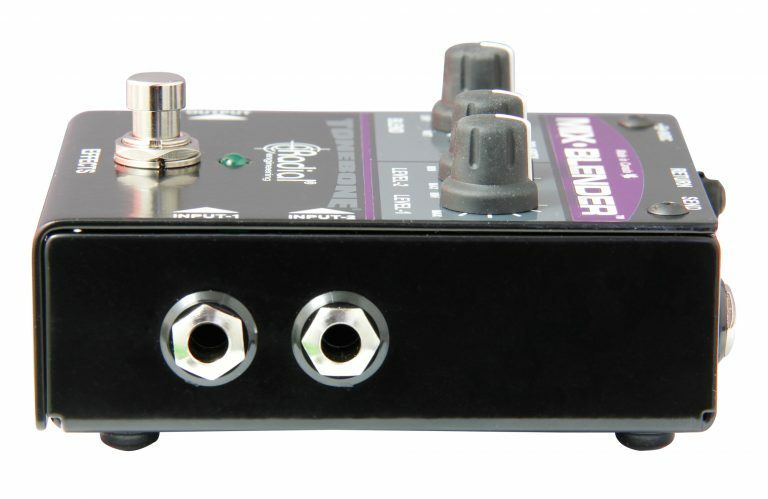 In fact, it made it stronger by adding a layer of the wet effect to the signal path." 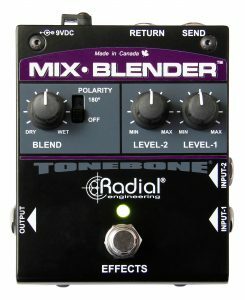 "Mix-Blender does its job flawlessly and is built to last. 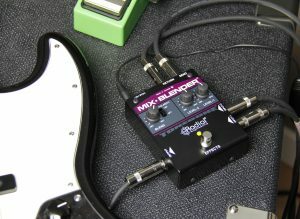 What more could you ask for?" 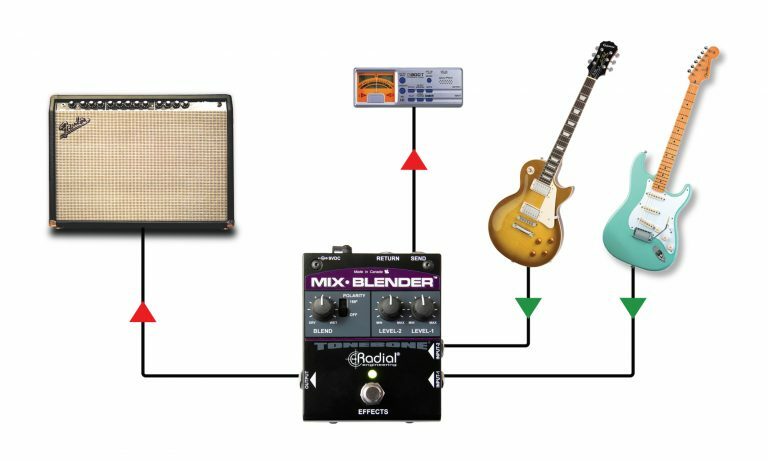 "I tried using the Mix-Blender in every way I could think of, and in all cases it worked well and never compromised my original tone."